Join us for a fun Instagram Challenge…our October Photo of the Day Challenge! We share a unique photo prompt for every day of the month, (a 365 day photo challenge) and you share a photo a day for each prompt! Join us for another month of our Instagram Photo Challenge. 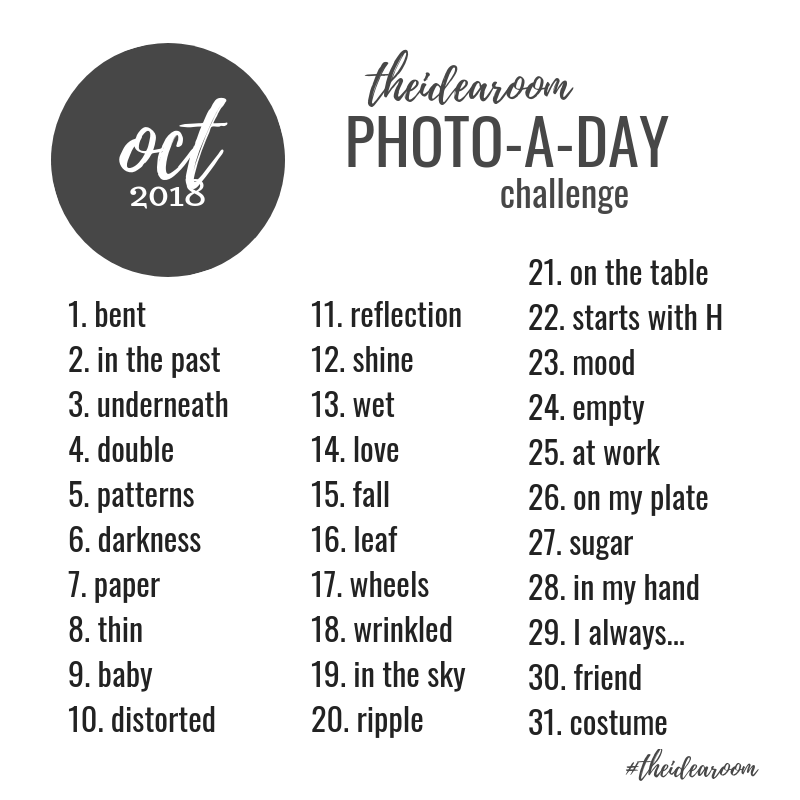 We are sharing the photo prompts for our October Photo A Day Challenge. We have been doing this for a few years in our Instagram community and we would love for you follow me and to join in the fun! This is a great way to get out your cameras and to get creative while recording moments from your every day lives! What if I forget to post a photo for the October Photo of the day challenge?